(After studying the photo, comparing other pictures and using facial recognition technology, out best judgment) Standing left - Tug Wilson. Standing right - Sam Davidson. Front row (left to right) - Wallace Childers, Bobby Campbell, Bert Dunn. Second row - Nelson, Si Bennett, Lloyd Zimmerman. Third row - Campbell (2B), Billy Hamilton/Hulen. Top row - Alex Harper, Ray Whisman. 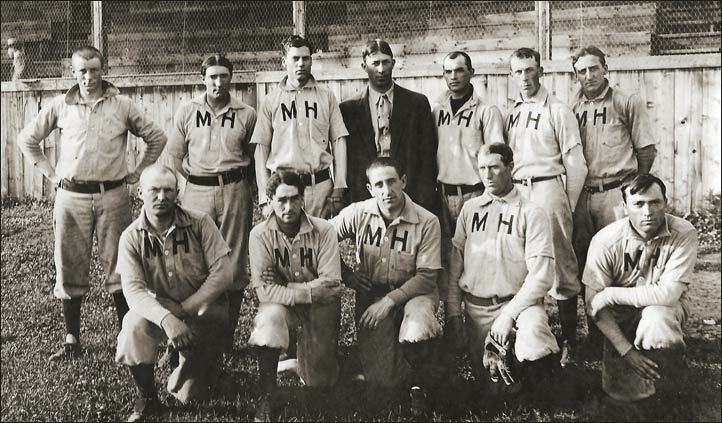 Back row (left to right) - Lloyd Zimmerman OF, Bobby Campbell P, Billy Hamilton (aka Billy Hulen, with an eye patch protecting an eye injury) MGR, Whisman, Nelson. 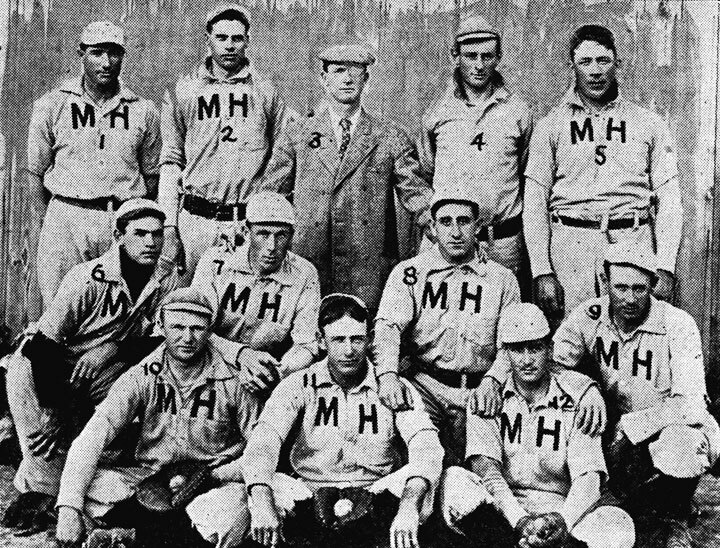 Middle row - Wallace Childers 3B, Lester "Tug" Wilson OF, Si Bennett 2B/OF, Campbell 2B. Front row - Sam Davidson 1B, Bert Dunn P, Alex Harper SS. 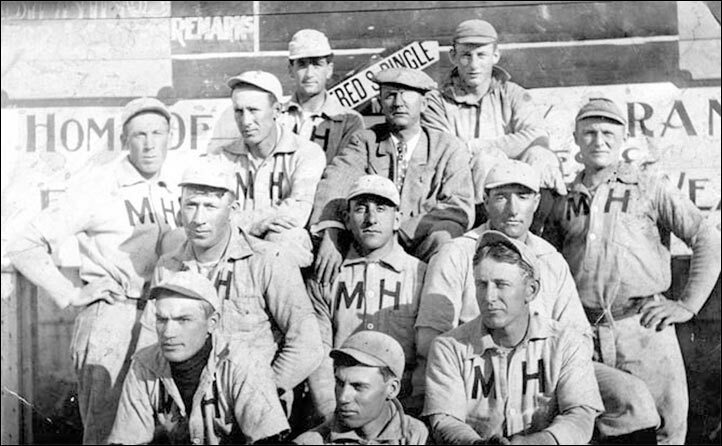 Left to right - Si Bennett CF, Sam Davidson C, Alex Harper SS, Bert Dunn P-1B, Wallace Childers 3B, Campbell 2B, Lester "Tug" Wilson LF, Lloyd Zimmerman RF, Whisman P, Nelson P, Bobby Campbell P, Billy Hamilton (aka Hulen) MGR.